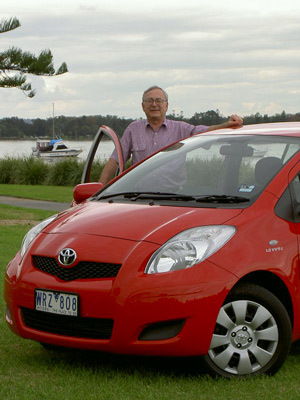 The Yaris is Toyota's smallest car in Australia. Fitting into the light car class, Toyota's tiny hatchback is a car with plenty of competition. At 3,785 mm long, the Yaris hatchback, according to the trivia department, is just a little shorter than the original Toyota Corolla of 1966 (3,845 mm), whilst the Yaris sedan is longer than the original Corolla sedan! Being such a small car, one question comes straight to mind. Why is it so roomy? As soon as you sit yourself into the driver's seat you notice that, despite the modest exterior dimensions, there is adequate interior space for four adults in this 5 seater hatchback. Our drive car, on this occasion, was the Toyota Yaris YRS 5 door hatchback. The YRS is the mid-spec model amongst a wide variety of models that wear the Yaris badge. Our example was fitted with the standard 1.5 litre DOHC 4 cylinder petrol engine, matched to the standard 5 speed manual gearbox. Technically, the Toyota Yaris is quite a conventional car. It features a front engine, driving the front wheels and, as a sign of ultra-conventionalism, it has drum brakes at the rear. Wheels are 15". The economical engine, which produces 80 kW power (at 6,000 rpm) and 141 Nm of torque (at 4,200 rpm), will win friends at the petrol bowser. Its fuel economy, on the combined cycle, is rated at 6.1 litres per 100 kilometres. Let me say, just quietly, I like that type of figure in a light car. Regular unleaded petrol is the fuel of choice for the Yaris. The price for this model is $18,540 (RRP), which rates reasonably well, rather than good, on the value equation. 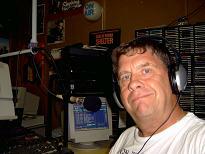 Standard equipment, whilst not extravagant, isn't sparse either. Power steering, air conditioning (with disappointing performance on the test car), engine immobiliser, wheel covers, luggage cover, remote central locking, single CD audio system with AM/FM radio, power windows and a 3 year (or 100,000 kms) warranty are included on the Toyota Yaris YRS. Just two airbags are standard. In today's enlightened market, a full kit of six airbags is fairly routine for mid-spec models. However, additional airbags are available for the Yaris YRS in an option pack. 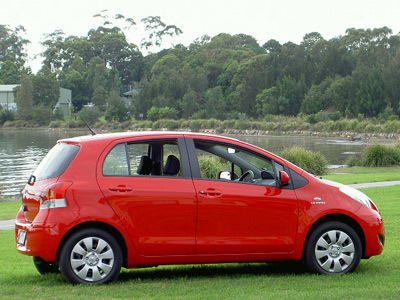 Like many light cars, the Toyota Yaris is easy to manage. The clutch and the gear changing mechanism are light and the driving characteristics are simply, rather than refined. The Yaris fits into the light car class well. It's a field where sophistication isn't a priority. Yet the little Toyota pleases occupants with its compliant 'mannerisms'. Additionally, to the delight of the Next Car operatives, the steering wheel adjusts for both rake and reach. Performance is of the non-excitable style. 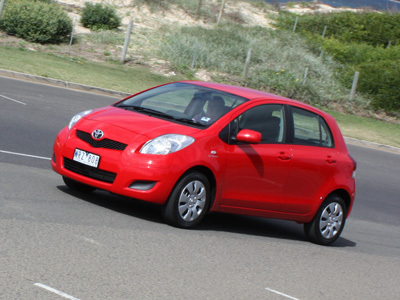 The 1.5 litre Yaris just makes the business of driving as least excitable as possible. Whilst performance orientation is never suggested as a Yaris attribute, this little Toyota does not offend with it having just enough performance to do the job with relative ease. Backed by the world's largest manufacturer of vehicles (as at 31st December, 2008), the Yaris YRS will satisfy many buyers with its simplicity. It offers satisfying interior space, compact exterior and good economy. If the air conditioning worked better, we'd be happy to put the Yaris towards the top of its class.